Not all problems in the home can be spotted on the surface. Things can look fine and dandy until an expert scratches the surfaces and looks at what’s happening underneath. Home inspections are when those kinds of checks can be carried out. Anyone wanting to buy a home should have it inspected by a professional who knows what they’re doing. Here are just some of the most common problems found during home inspections. You might think that sloping floors would be easy to spot, but that’s not always the case. It’s a structural issue that can signal more problems with the foundations. Another structural issue often found during a home inspection is cracking foundations. Any cracks should be treated so that the problem doesn’t become worse later on. It’s not the kind of home problem you want to ignore. Damp is very common in basements, and there are many different things that can cause it. The problem is that even minor damp issues can cause problems to the structure to the home and eventually reach other parts of the house. It’s something that can be treated if it’s spotted by a professional during a home inspection though. Someone has to get up there and inspect things up close before you can fully understand the condition of a home’s roof. There are plenty of little and large problems that can be going undetected up there. Damaged flashing, missing shingles and protruding chimneys are just a few of the issues that can be found on your future home’s roof. Every home relies on its plumbing system. It’s one of those things that you don’t think about until something goes horribly wrong with it. Leaks and water pressure issues are two of the most common kinds of problems that get uncovered during a home inspection, and it’s best to have something done about those kinds of problems. Electrical faults should always be taken seriously because the repercussions in the home can be massive when something does go wrong. Things like missing wiring or nuts seem small but can cause big problems. And open junction boxes should always be fixed by a professional electrician who can do the work safely. An old water tank might have cracks in it that are starting to develop, and the same issues can also apply to the heat exchanger. Something that’s really dangerous is the risk of carbon monoxide leaking from an old heating system. It’s potentially deadly, so having it found if it’s there during a home inspection is vital. 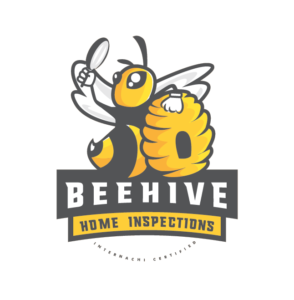 Home inspections can throw up all kinds of nasty surprises in the home, and that’s why it’s so important to have a thorough and complete inspection carried out before you sign on the dotted line. There are so many things that can go wrong if you choose to skip past this vital part of the process. Home Inspection Checklist & What To Expect What to do if you do not pass a home inspection?